Donation’s will be accepted at the Waipahu Festival Marketplace entrance if available, or the WCA office, same location just upstairs Mon – Friday 9am – 3pm. Office closed for Thanksgiving Thursday and Friday. Donation’s accepted now through Sunday, December 8th, 2013. 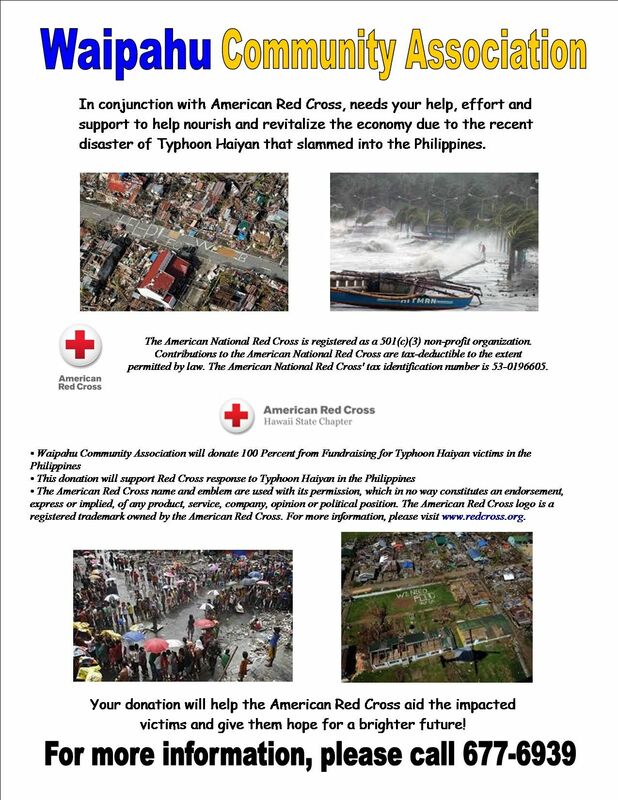 Typhoon Haiyan Relief for the impacted victims.